There seems to be a sense of nonchalance among the populace of Victorian London about the presence of the dinosaur in the opening of the story. Once they’ve seen a giant Cyberman, they’ve seen them all. Speaking of the setting, I’ll need to look it up, but the exact year isn’t given, based on first viewing. Is it possible that the Paternoster Gang are meeting the Doctor out of order? There’s been fan clamouring for a spinoff series featuring Madame Vastra, Jenny, and Strax. Wouldn’t it be even more awesome if they were paired with Jago and Litefoot from The Talons of Weng-Chiang? 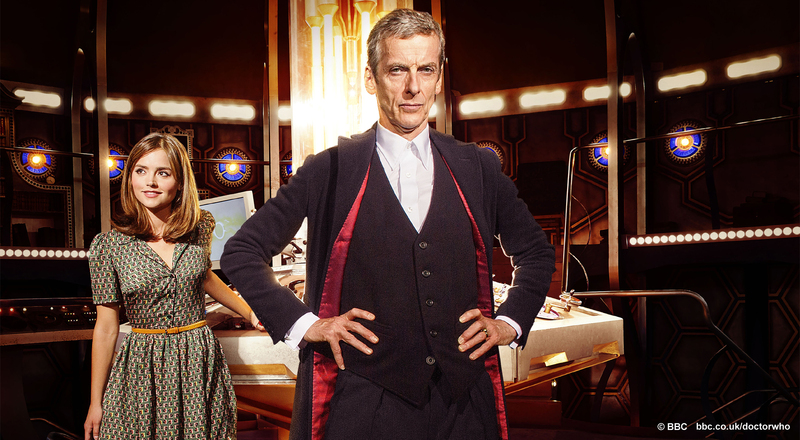 All the trailers for the series had Clara asking “Where are we going?” with the Doctor replying “Into darkness.” After the usual post-regeneration craziness, “Deep Breath” does go into darkness, and it’s carried by Peter Capaldi. One of the last scenes, where he’s in the TARDIS with Clara, exposes this new Doctor’s vulnerabilities, and I think Capaldi nailed it. I’ll admit to be a little shocked with that scene of the 11th Doctor phoning Clara to reassure her, as that is the first time in a post-regeneration story that the previous Doctor actually appears in that episode that isn’t just a reprise of the regeneration scene itself. I’ll chalk this up to Steven Moffat always thinking of the big picture. Overall, I thought “Deep Breath” is a good introduction to the 12th Doctor, and a good start to what should be a very fascinating season.